HURUNGWE-Hurungwe district, in Mashonaland West province, like many tobacco farming areas in Zimbabwe, has been losing huge tracts of indigenous forests to tobacco farmers. But that was only until locals discovered that they could also make money out of preserving their forests â€“ now there is a reforestation frenzy. Chitindiva Primary School under Chief Chunduâ€™s area is even vowing to plant as many trees as possible this year. â€œWe will only stop planting trees when we feel the school is becoming unsafe for children otherwise we are only just beginning,â€ Chamunorwa Govero a senior teacher at the school said. The school, Govero said, has 3 200 gum trees in its nursery that are ready for distribution into the community for use as fuel for curing the golden leaf. The school has become the front line of the conflict between tobacco merchants and environmentalist after Carbon Green Africa,a private company that negotiated carbon credit sales that are benefitting Kariba belt communities through a project designed to reduce carbon emissions. 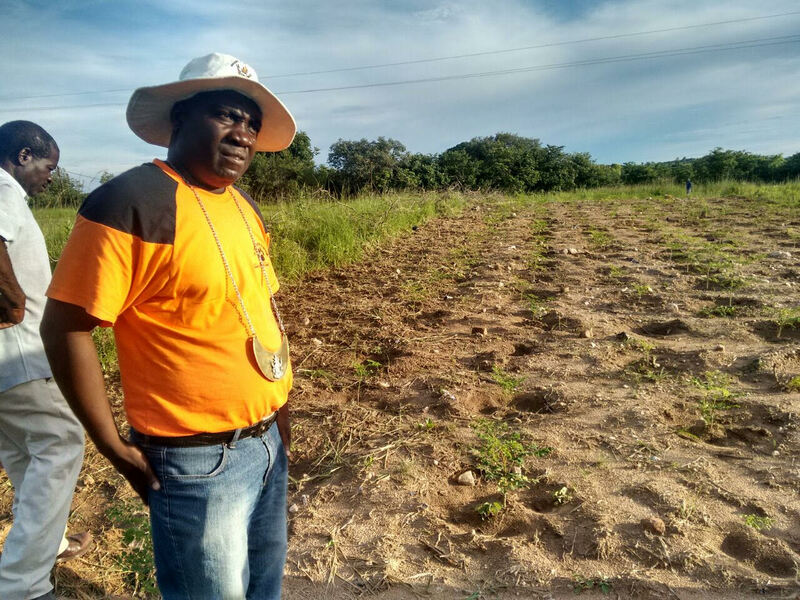 Titled Kariba REDD+ Project, the initiative has allowed communities leaders to realise that the region can still make money through sustainable agricultural practices while cashing in on their standing trees. The project is running in three districts in Mashonaland West province. Chief Chundu said he was engaging various agricultural players to pull away his subjects from tobacco farming. â€œWe are working with different organisations in trying to entice locals with alternative crops like soya beans and sunflower in our efforts to pull them away from tobacco farming,â€ Chief Chundu said. Experts have been warning that tobacco was being farmed unsustainably and at the cost of the countryâ€™s biodiversity. The industry recently celebrated a 200 million kilogrammes production milestone. According to Forestry Commission tobacco curing is accounting for 20 percent of the countryâ€™s 350 000-hectare loss of indigenous forests annually. Environment Africaâ€™s Zimbabwe country director, Banarbas Mawire warned that with tobacco curing demanding slow burning indigenous trees their slow growth rate would cost the country its native tree species. â€œThe rate of indigenous forest regeneration is very low and we risk losing in terms of biodiversity,â€ Mawire said. Hurungwe district council, which receives and administers carbon credit sales revenue on behalf of the community, said it was hoping for greater cooperation from tobacco merchant companies for efforts to stop deforestation to succeed. â€œWe hope tobacco merchant companies buy into our efforts to either establish exotic fast growing tree species woodlots or adopt environmentally friendly alternatives like solar-jet barns. â€œThis will not only benefit Hurungwe but the entire country,â€ Hurungwe ward seven councillor Jealousy Matesanwa who chairs councilâ€™s social services department that coordinates community projects from carbon credit sales said. Tobacco merchant companies have largely been distrustful of environmentalists whom they consider hostile to their business interests. Carbon Green Africa CEO, Charles Ndondo said efforts to rope in the companies in adopting solar jet barns hit a brick wall. â€œWe tried engaging them in facilitating these barns to farmers as an alternative to cutting down indigenous trees but they have not been cooperating,â€ Ndondo said. Ndondo said while they claim they are helping farmers they work with in establishing woodlots this did not address their immediate needs as it would take at least five years for the trees to be ready to harvest. He however remains bullish that they will win the hearts and minds of locals and regreen the landscapes. â€œMany communities are now inviting us to share conservation farming methods and work with them in their afforestation efforts after witnessing the positive impact what our climate change mitigation project is doing in the communities we are in,â€ Ndondo said. To compel local carbon emitters to contribute financial resources in forest conservation efforts, Ndondo is calling on government to enact laws that will compel fuel and tobacco companies to buy the carbon credits which are currently only being sold at the voluntary market internationally and being picked up by companies as a form of corporate social responsibility. â€œIf government makes it a law then this will help the whole country as they will not only be conscious of the impact their activities have on the environment but would also incentivise local communitiesâ€™ conservation efforts,â€ Ndondo said.